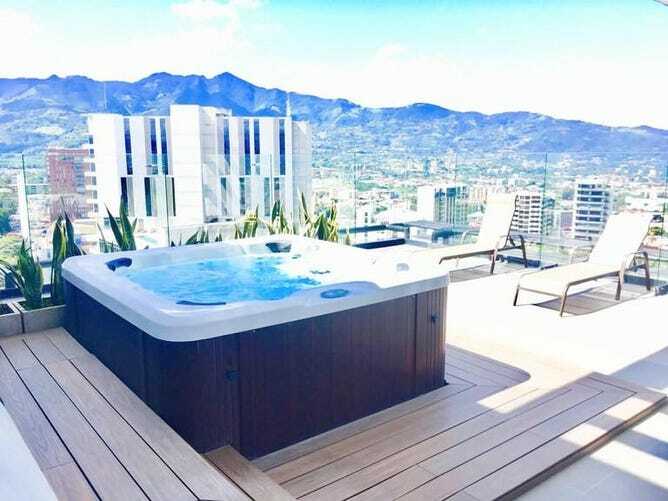 This beautiful apartment located steps away from La Sabana, Scotiabank Bank, Hyatt Hotel Business Offices, Fresh Market National Stadium, Whole Other has a beautiful view of the city in and to the mountains. By car is 3 minutes from the cinema in Plaza Mayor, 10 minutes from San Jose Centro, 12 minutes from Multiplaza Escazu and 20 from Santa Ana Lindora. In this location does not need car.